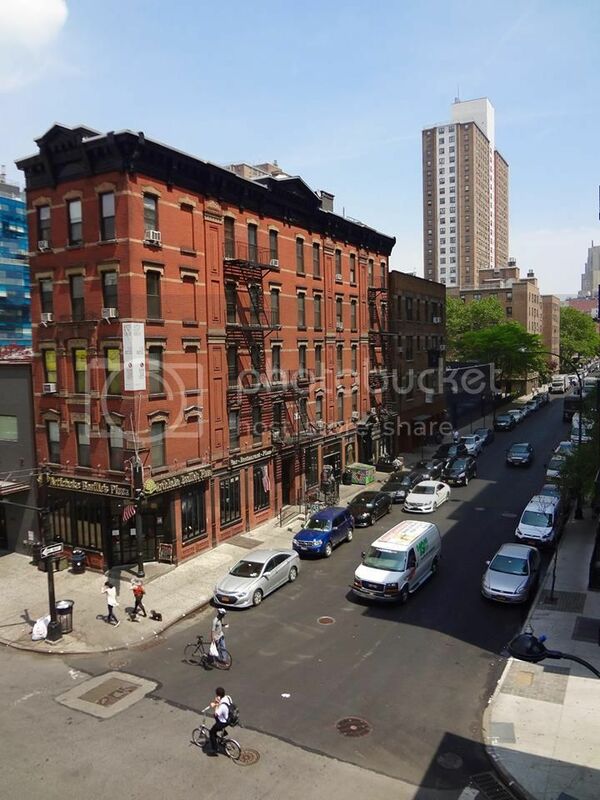 Alice has a couple of days in New York before the long trip home and sent these pics. 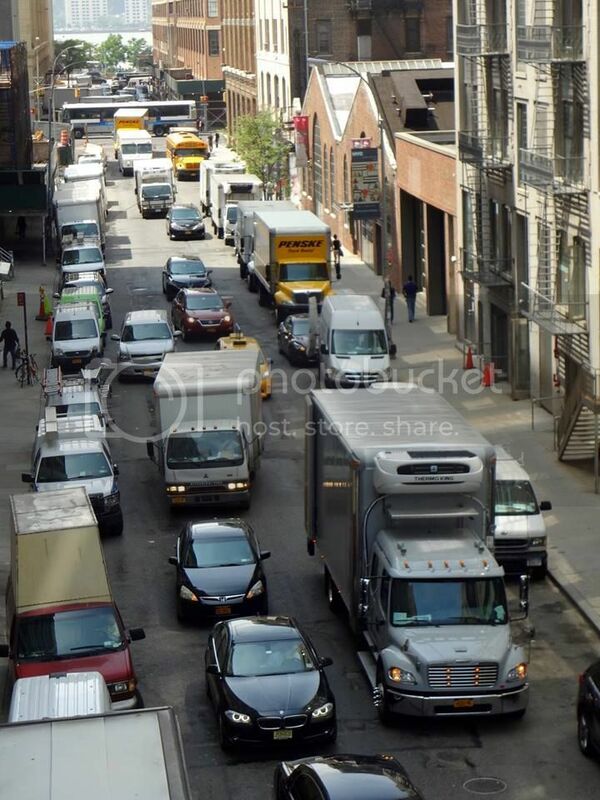 General view of traffic in the street, somewhere in NYC. Two way street this time. 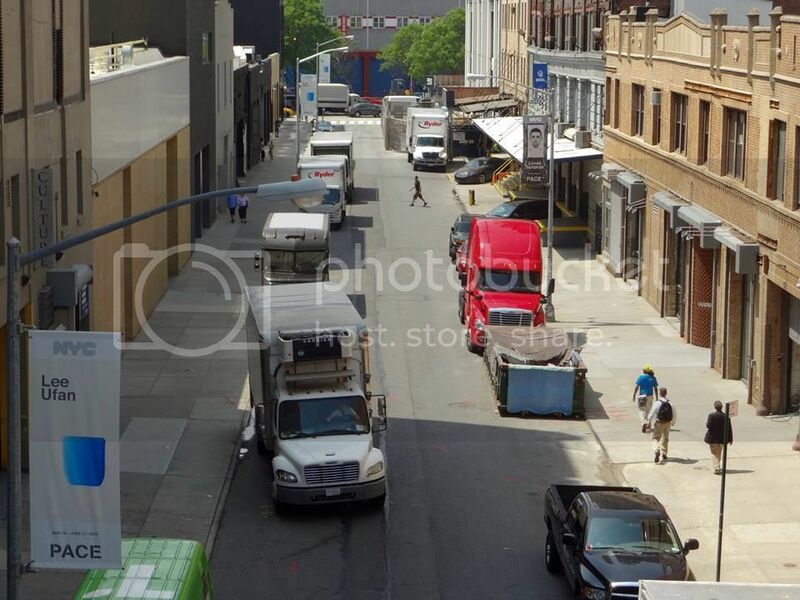 Note the big yellow taxi in the foreground is a Toyota. 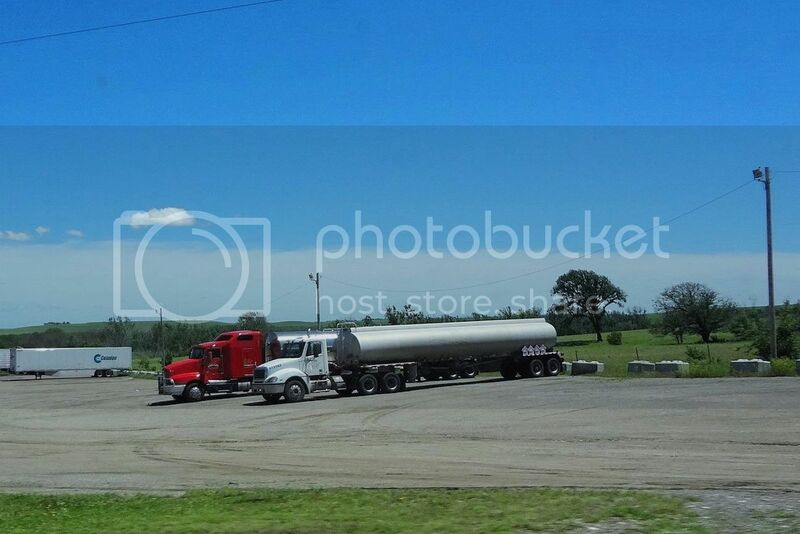 Another Freightliner delivery truck and a big Freightliner Cascadia tractor parked up. Close up of a North America only Hino delivery truck. Note the bicycles. 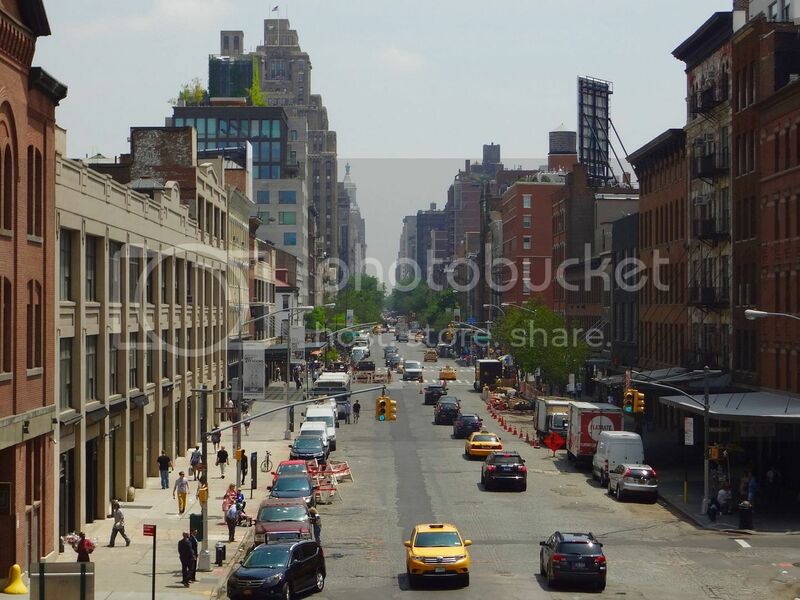 Bike riding (and walking) is much more prevalent in NYC than in KC. 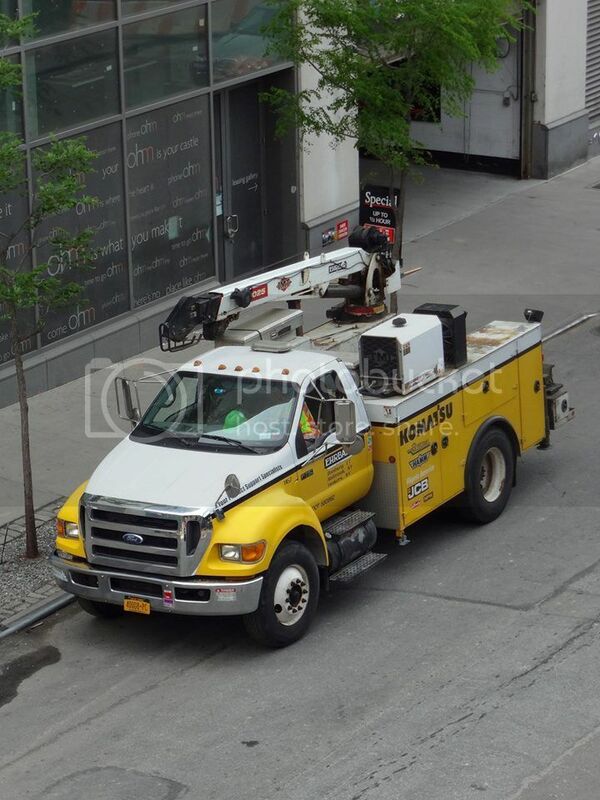 Ford no longer make heavy duty trucks, but there mid weights are still popular in the construction and utility industries. 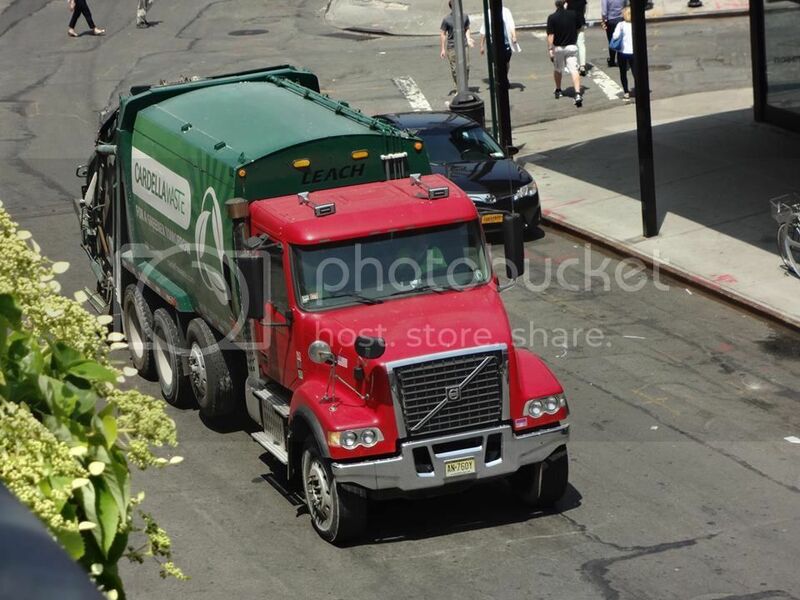 Volvo VHD trash truck with extra lift axle. 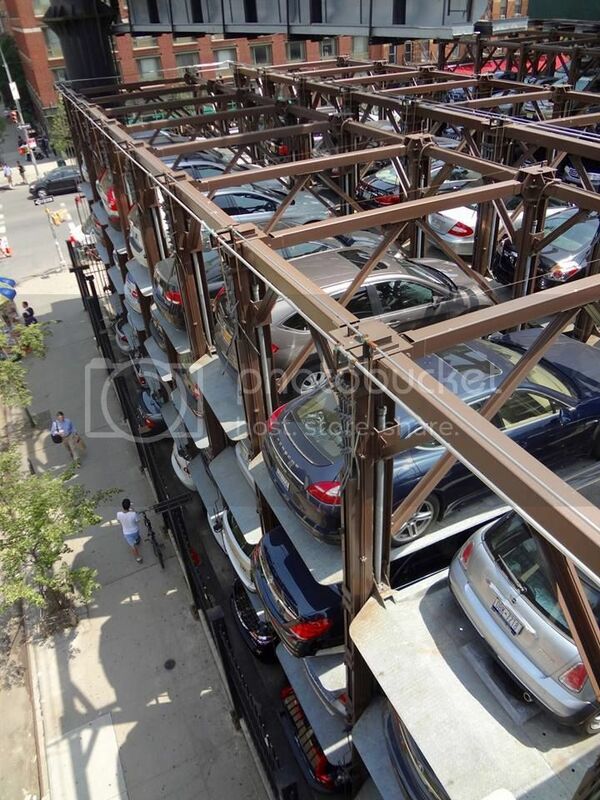 No information with this pic, but I guess it's one of those parking buildings that lifts and stacks the cars. I'm not sure how you get your car if the one below yours hasn't been collected. 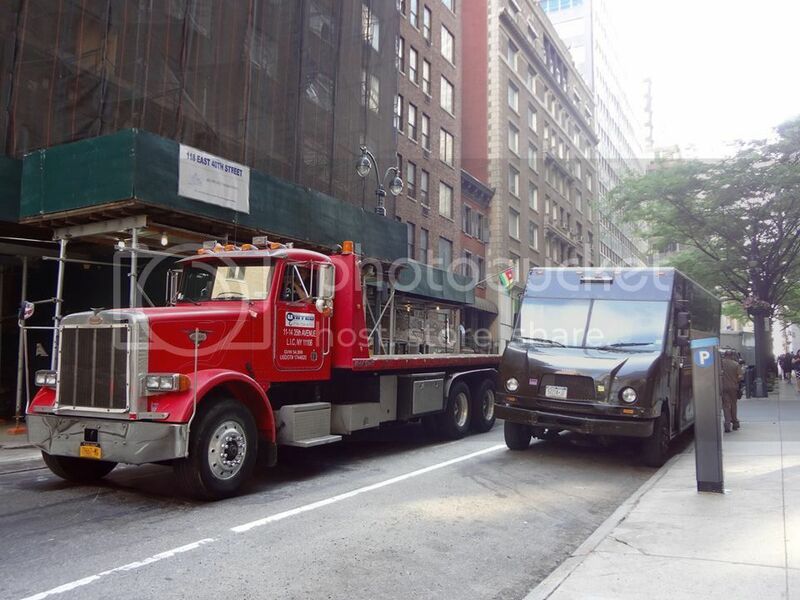 Big flat deck Pete in the middle of New York. I'm not sure of the breed of the ugly UPS walk thru van. 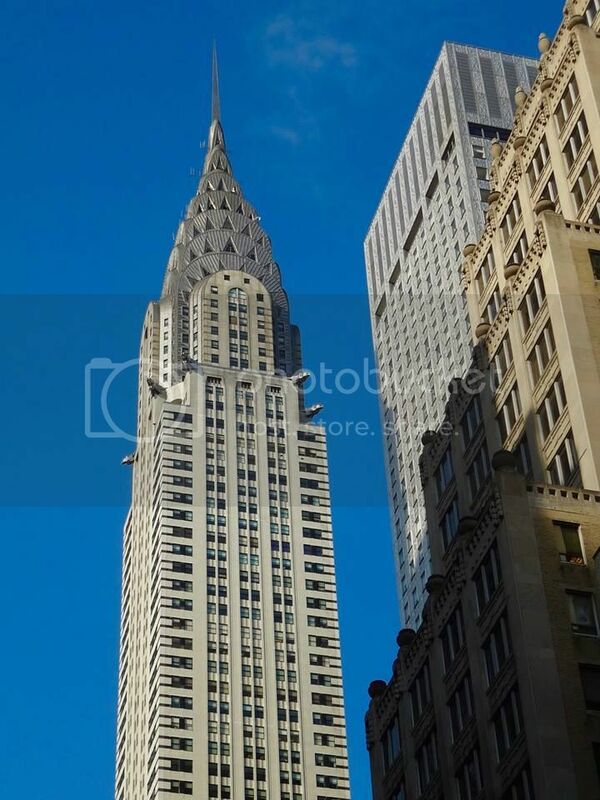 Seeing this blog is mostly automotive, I'm sure it's acceptable to show a pic of the Chrysler building. These are probably the last photos from Alice in Missouri, as she leaves this week, for a few days in New York, then back to NZ. 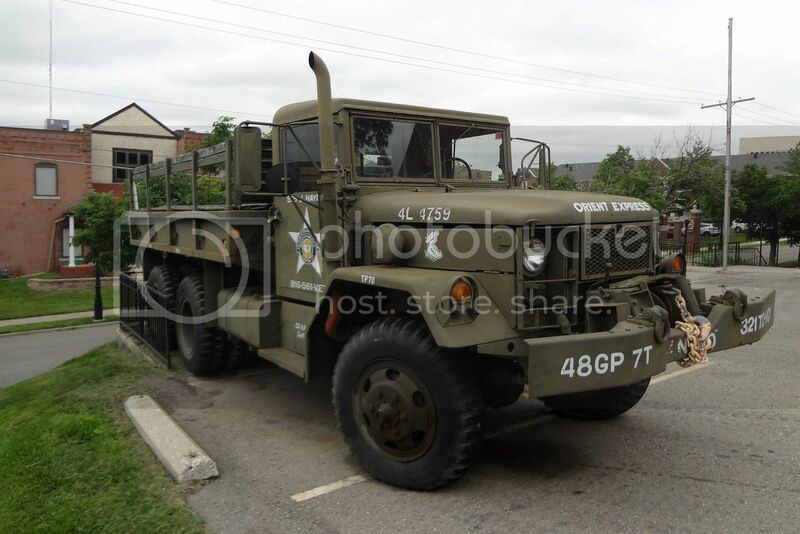 I'm not very knowledgeable on military vehicles, but I think this is a M816, but I stand to be corrected. 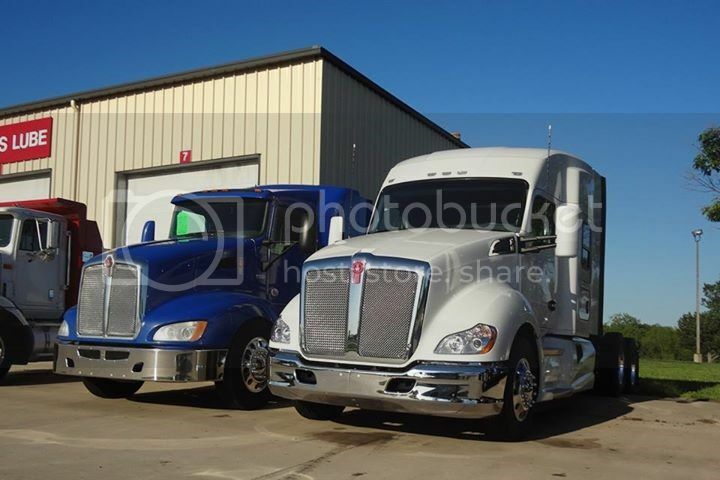 Similar looking vehicles were made to the same pattern by several different manufacturers including American Motors, General Motors and Mack. 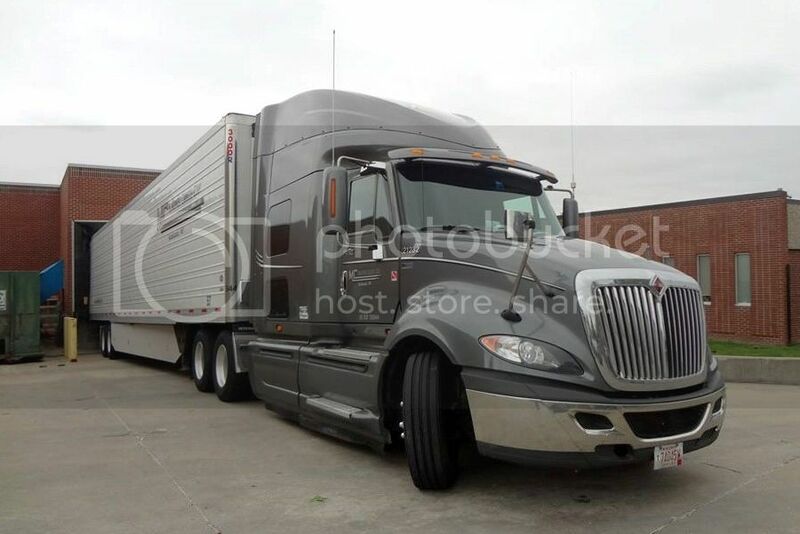 Nice close-up of International Prostar with big sleeper and 53' trailer all sitting on only 5 axles. Alice recently did a weekend road trip. Going down to Knob Noster (yes that is the name of a town) which is right by Whiteman AFB in Missouri about an hours drive SE of Kansas City. Then back west into Kansas up to Cawker (home of the worlds biggest ball of string....yes really) and back to Kansas City from the Kansas side. Here are some of her photos. 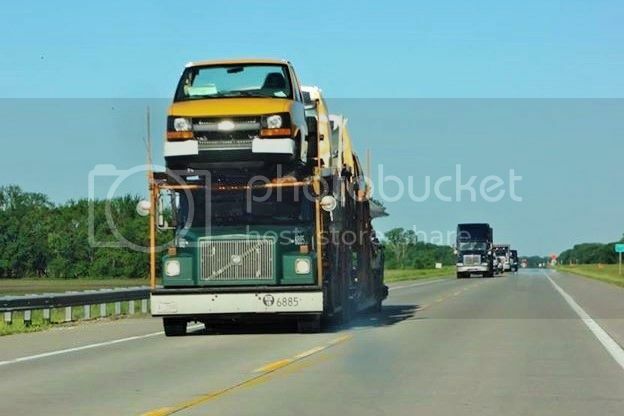 An older model Volvo with a load of cars. I think this may be from the White/Volvo era. 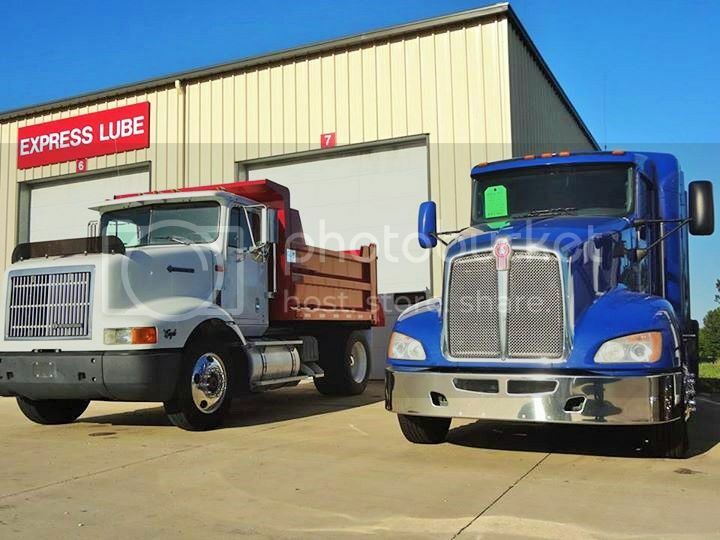 Peterbilt 389 with stepped deck trailer and container. Same again, just a different colour. 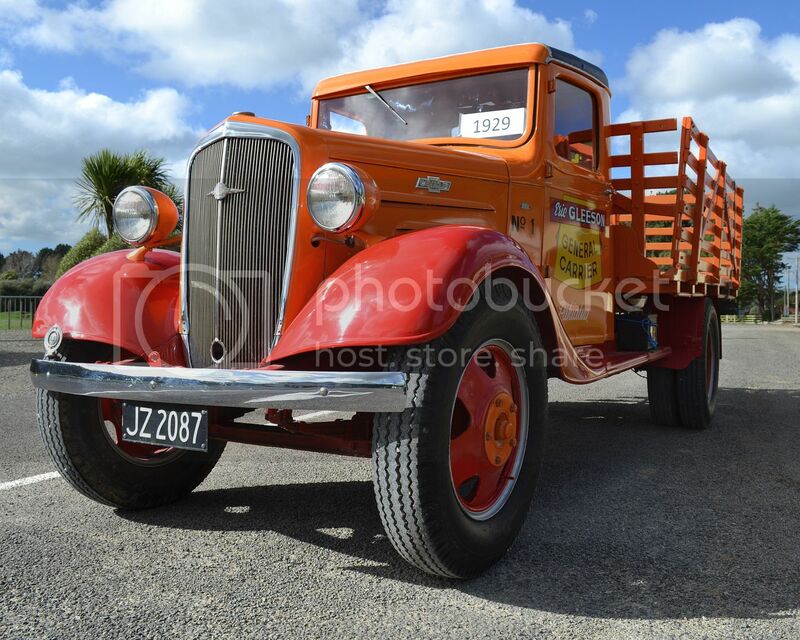 No rego plates suggests these Kenworths are new. 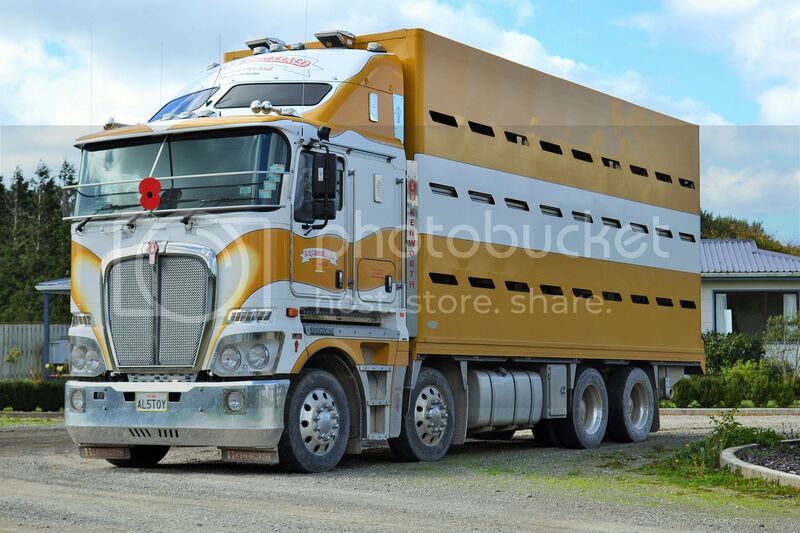 If the International is new, then they have been using this cab for a long time. First used on the Paystar line about 1970 !! 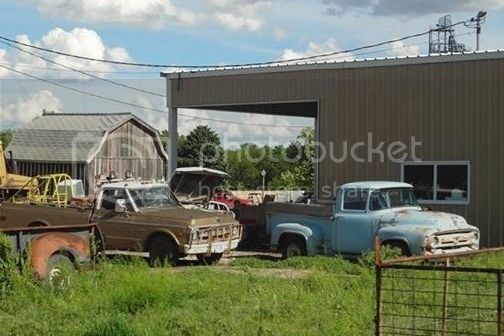 In Cawker's main street (US-24) by the railway crossing is a yard full of interesting old scrap metal. Early 50s Chevy, I think. 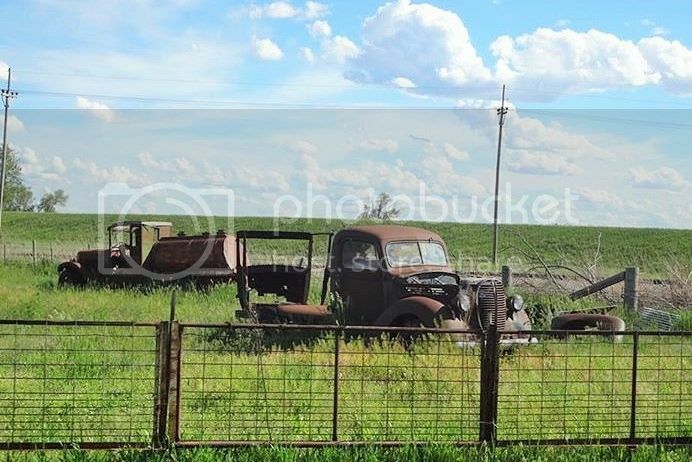 Ford in the foreground, but not sure what the old tanker is behind. 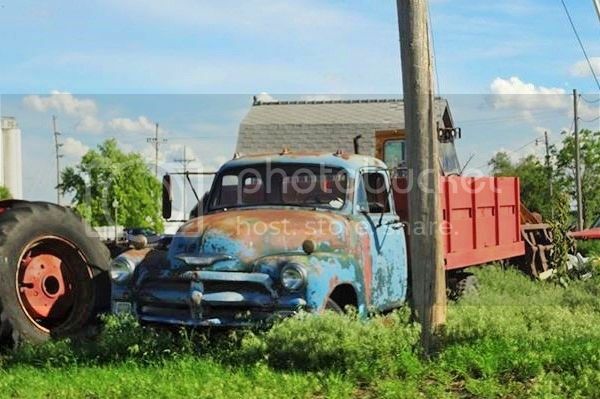 A mid 50s heavy duty Chevy. 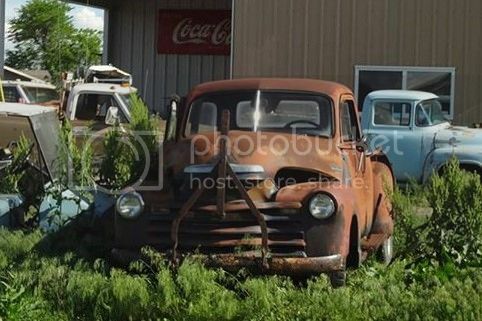 1970 Chev pick-up and 1956 Ford F100. 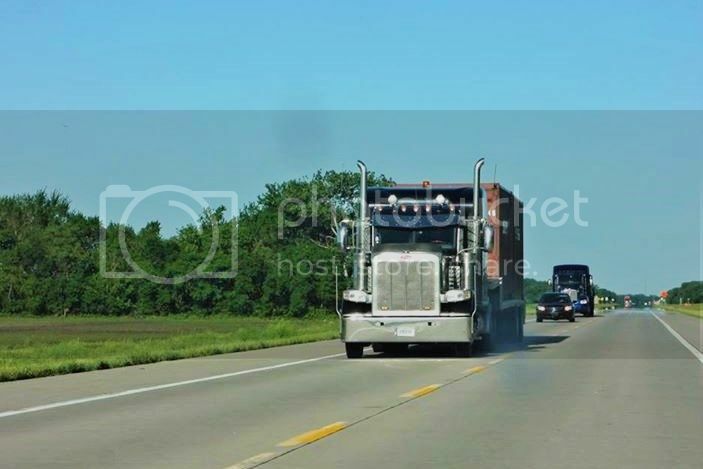 Kenworth and Freightliner snapped from a moving car. 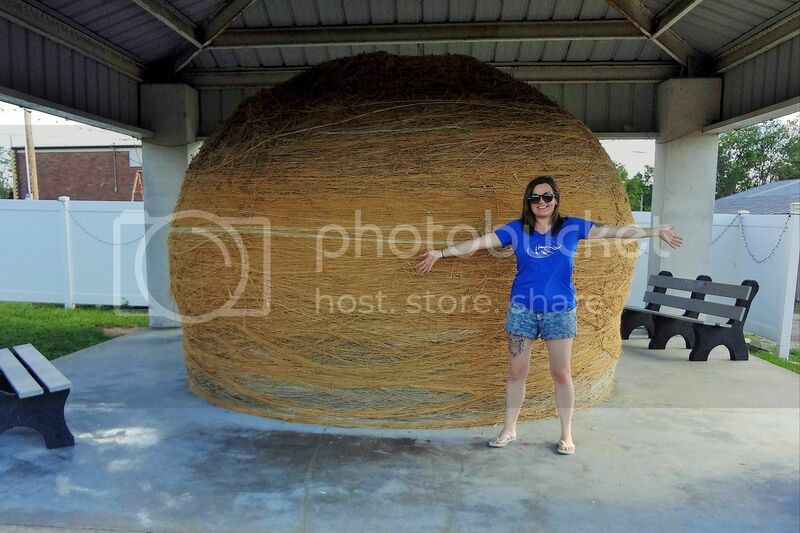 Alice with Cawker City's big ball of string. Started by Frank Stoeber in 1953, it is now estimated to weigh in excess of 9000kg. An Itie, a Pom, a Swede and a Yank. 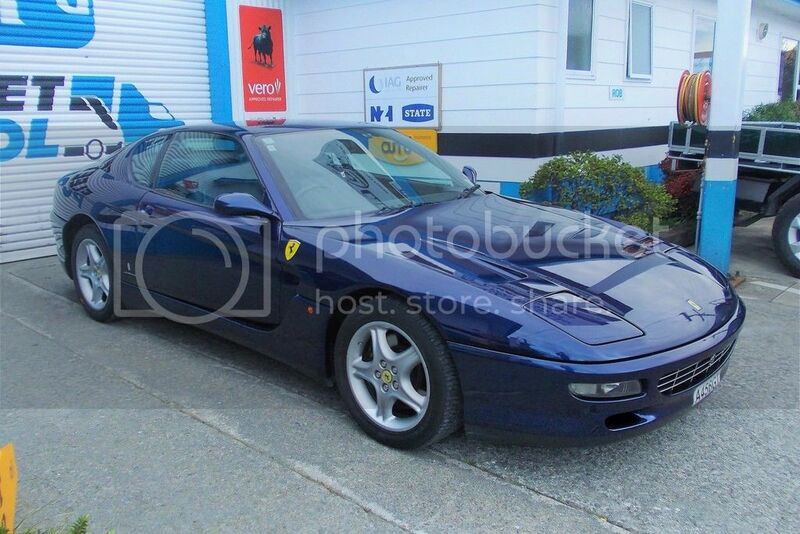 This Ferrari 456 was at the painters to day when I delivered a car there. Call me old fashioned, but I've always thought that the front engined models look far more balanced than the mid-engined examples, but I still think that red is the only colour for a Ferrari. 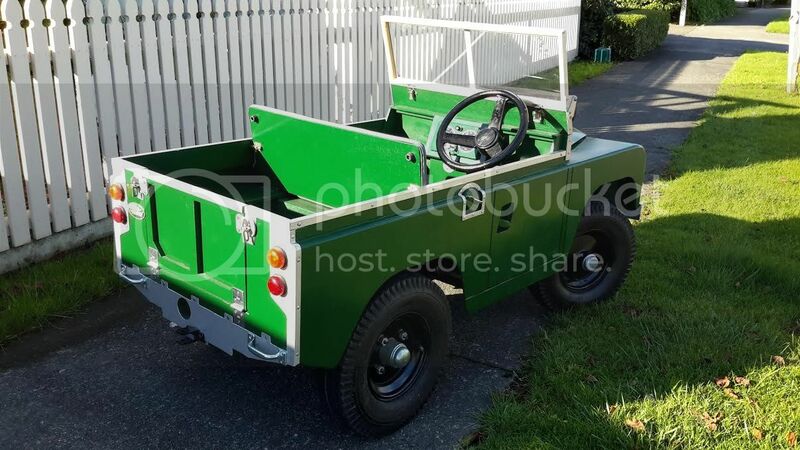 A friend of Max built this quarter scale Land Rover, powered by a mobility scooter motor. 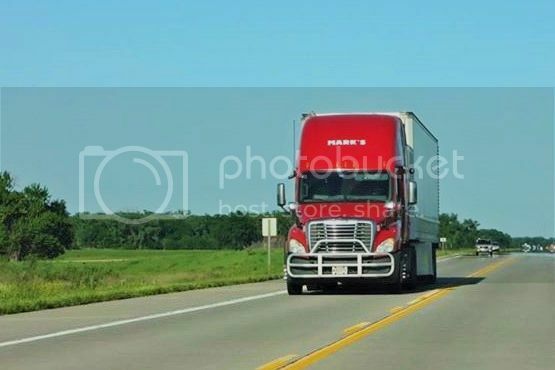 On Tuesday Max got a ride with an oversize load again. 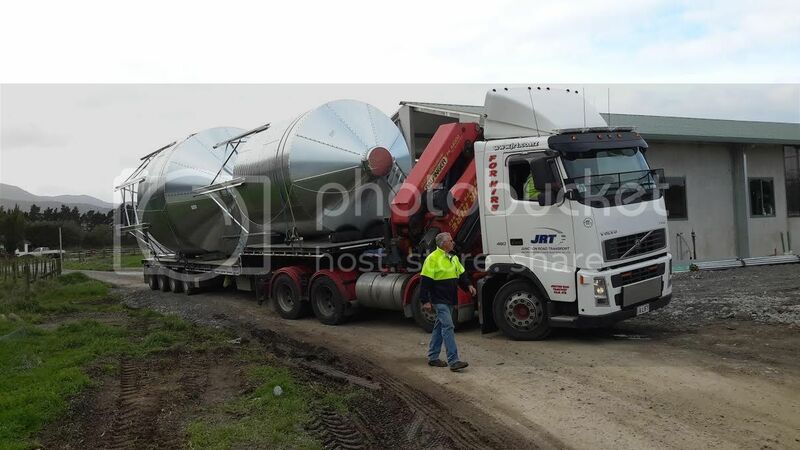 This time they brought a silo to the Wairarapa. 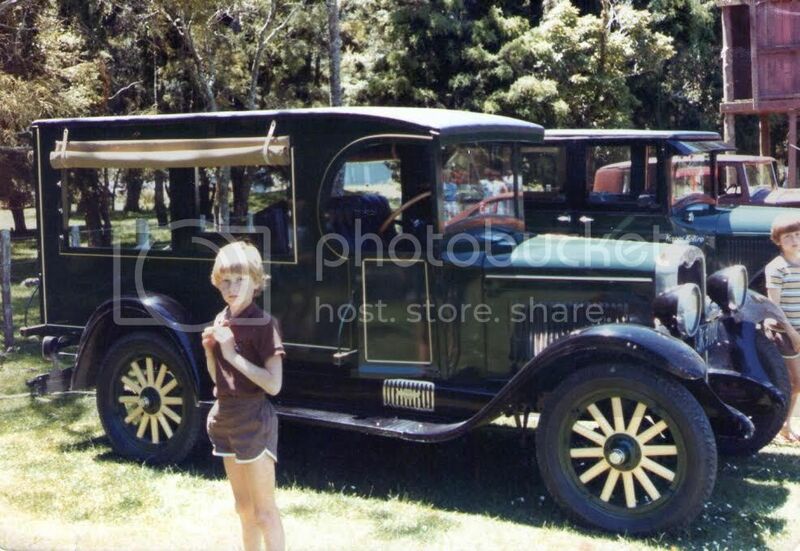 Max is also wondering if anyone knows the whereabouts of this 1928 Chev that he restored in the 70s/80s. 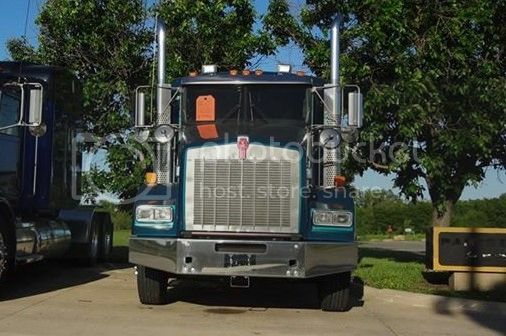 It was owned by Hookers Transport in the 90s. Max has the original ownership papers, which he thinks the present owner may be interested in. Last known rego was AKN 539. I had to do a trip to Lower Hutt this week for work. I had to kill two hours while work was being performed on the vehicle I took down. I thought it would be a good opportunity to take some truck photos, but the weather was appalling, so only managed these two. 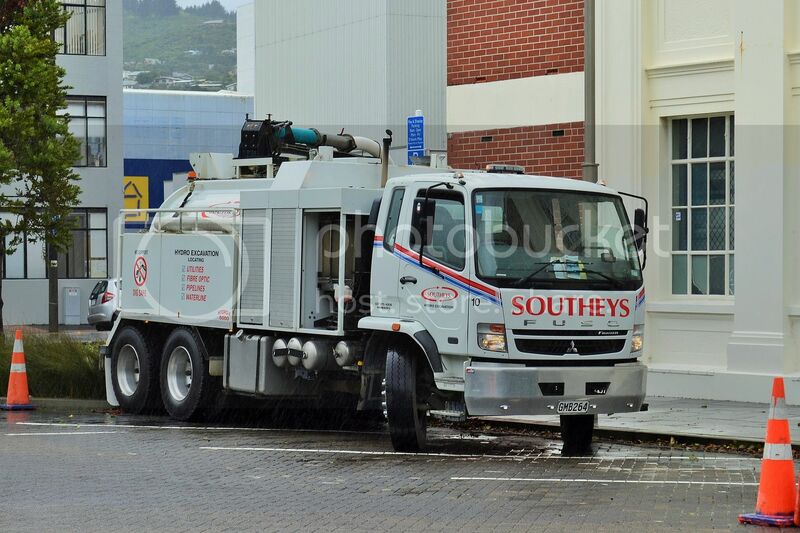 Low cab Scania gas tanker stops for a break. 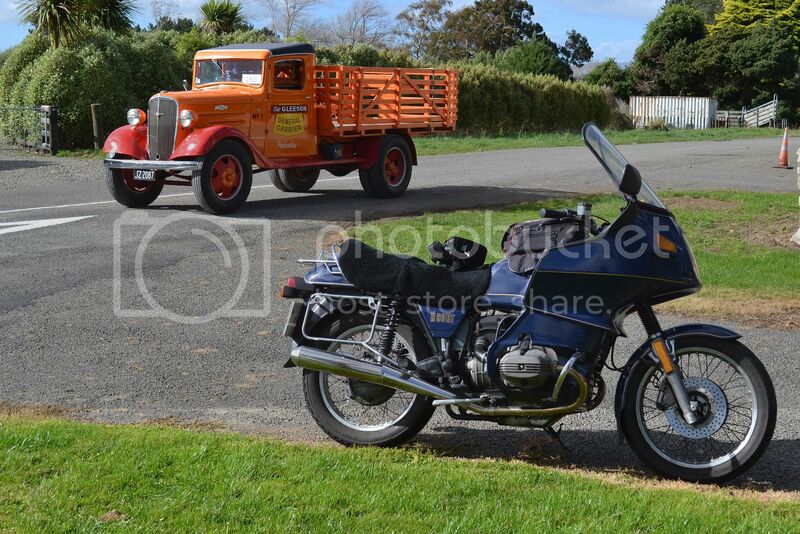 Snapped this at Featherston where the weather wasn't so bad..
....and only a few metres further south Fitzgerald's 2013 Kenworth K108 is parked. I've always been intrigued by Bedford's VAL coach of the 1960s. It seemed a logical way to get a large coach, but keep it low and eliminate wheel arch intrusions. 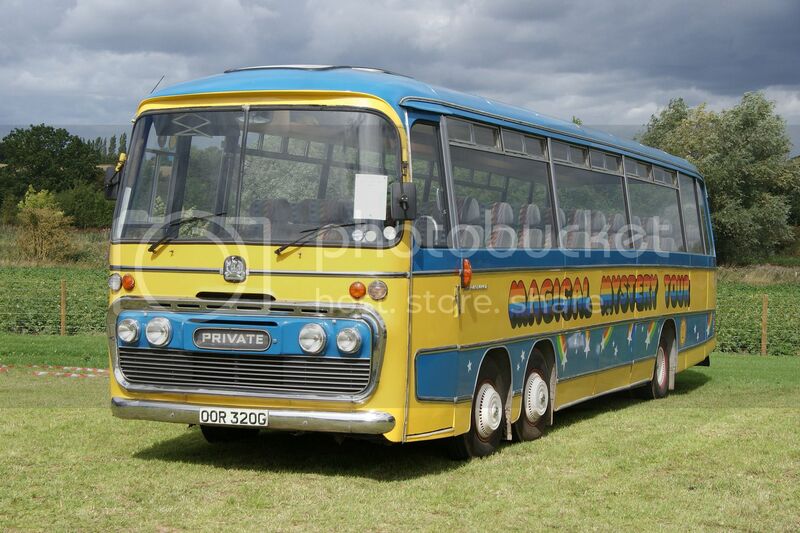 It got me thinking had anyone else made a twin steer bus or coach. 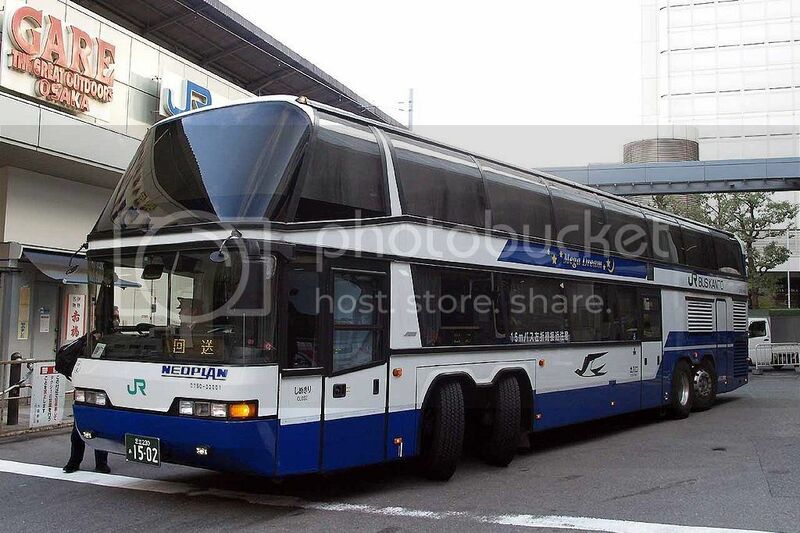 I was surprised to discover that Neoplan make this Megaliner. 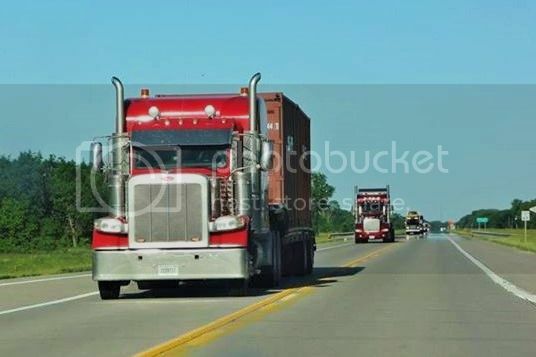 Not only twin steer at the front but tandem rear end with steering on the fourth axle as well. This example pictured in Japan. Stretched limo not big enough for you? A Californian company has this "limo" which can carry 40 partying people and is equipped with a pole....for pole dancing!. 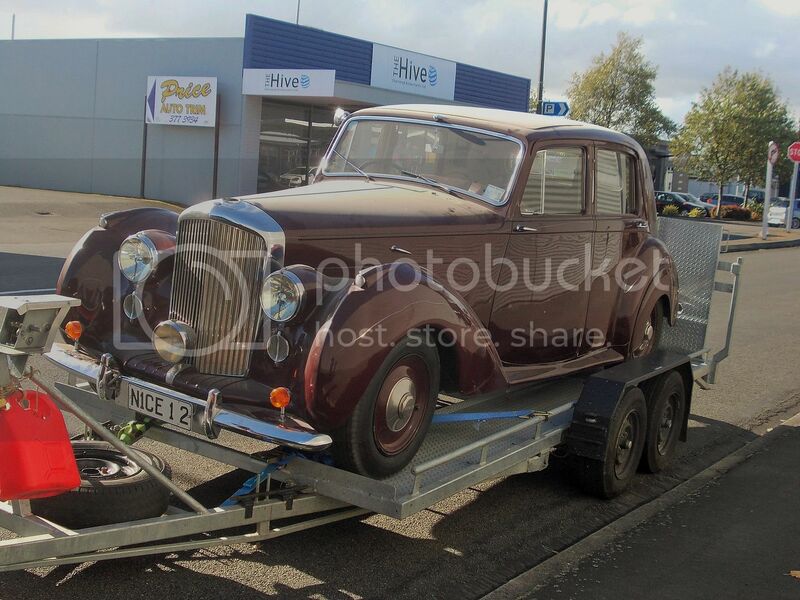 In town yesterday I saw this 1948 Bentley being trailered. Maybe for repairs or perhaps to a new owner.